Booster seats are the third and final stage car seats for your kid. The purpose of a booster car seat may seem confusing to you. Actually they are not like infant or convertible seats with great depth and side protection. What they do is, lift your toddler to match the height of your safety belt. Research indicates that allowing your child to inappropriately use the safety belt of your car increases the damage that happens during an impact. Certainly you don’t want that, do you? … That’s why it should be provided for your child’s safety. How To Buy Booster Seats? There are a number of things that you should bring under consideration before you buy a booster car seat. It’s not like booster seats are very welcoming for a kid. Sometimes you may have to convince them to be in one. Also, a booster seat must be used properly. 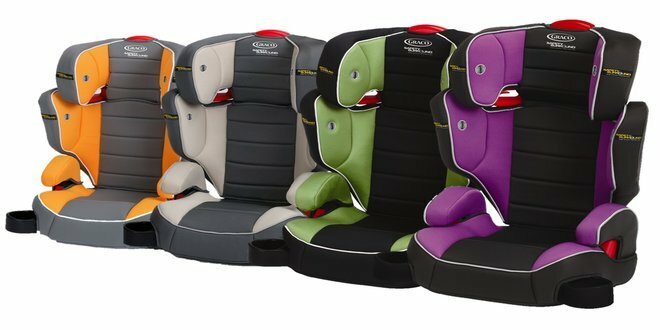 If you are thinking of advancing your kid to a booster seat, the following few points may give you all the necessary details about purchasing booster seats and using them. Now you know what a booster seat is, it’s time for you know about its types. There are two types of booster seats, the backless and the high backed booster seats. We’ll be discussing about these two types in this section along with a special kind. But before we go there there’s something that we should clear first. A research showed that it doesn’t matter much whether the booster has a back or not. But we think it matters as modern high backed booster seats come with wide side impact protection. The spread wings provide safety from sideways. Here’s a short introduction to the two types. First of all these types of car seats are less childish but serves the same purpose. The goal of an infant car seats is to elevate the child to match the seat belt height. It does the job very gently. The model has no back support and hence the name. This is another reason behind their being cheap. Backless models are more preferred by the kids. But there are some things that you should take note of before buying a backless booster seat. Do you know? – That backless models are very much lightweight and portable. When you child’s sitting on it make sure it straps up the lap and shoulder belts. Also the most important thing is that your car seat’s head rest must come to a level where it reaches the height of your child. These are the seats that have a additional back support to it. They look like the bigger and gentler version of a convertible seat. These type of seats are the best if the back is detachable. This way you can use it a backless model also. A high backed booster seat is heavier and less portable than a backless model. It also costs more too. The High back seats are of two kinds. BPB or Boosters with Belt Positioning – This type of booster seat is the extended version of the backless model. The back part of this seat extends up to the height of the ear of the child. If you have a child found of sleeping in the car it should be your first choice and if your car’s backseat doesn’t have a headrest it should be your only choice. Seats with detachable backs are easy to store and they are the ideal companion of road trips. Combination Seats: These are just extended version of a convertible car seats what only allows forward facing sitting position. They can be bought after the travel car seat and can house kids from 20 lbs. Another main difference is that Combination seats still use a five point harness in them. This makes these booster seat types the safest. They don’t come with detachable back facility and can be very heavy also. The following notes should be remembered before buying a car seat. Note that; toddlers don’t like to be in a booster seat. You have to make them like it. And finally when they are ready for one you should get one. Before buying a booster seat be alerted about the types and the child’s behavior. A toddler grows a personality and may not like booster seats. That’s why giving priority to their choices is also a good idea, make a short list of few booster seat models and let them choose the model they want to be in. When to buy a booster seat for a child? Instead of buying an all in one car seat if you go for the step by step method for providing safety to your child, then booster seat should be the last stage of car seat. You already know why you should get a booster seat. But do you know when to get one? Your child outgrowths other safety seats, specifically the forward facing use of convertible seats. Doesn’t fit inside the stock seat belt of a car. Ages from 4 to 8 and weights 40 to 80 lbs with the minimum height requirement of 35 inches. If your child can comfortably bend its knees from the car’s seat edge and the stock seat-belt can at least be loosely locked. You should be alerted that booster seats don’t provide much safety alone. Their job is completely different and it’s only confined in elevating the child to match the height of the car seat. That’s why try using the other seats for as long as possible. Where to buy booster seat? Next job is to get a booster car seat. 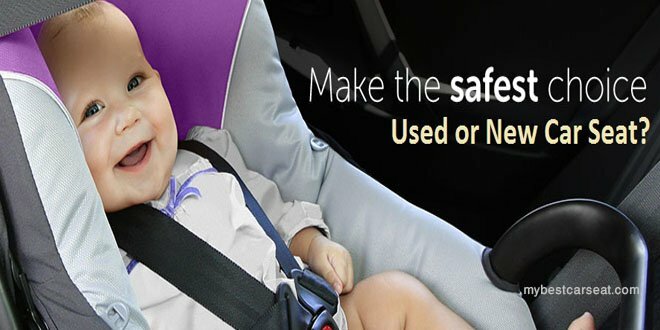 You can buy child safety seats from various stores or order them online. Either of them has their own pros and cons. When you buy a booster seat from a store you can test it inside your car. By practically testing the seat in your car you get to know how your child fits and feels being in one of them. Also you will get far wider models to choose from in an online store like Amazon. There are user review sections also. I’d say take weight and measurements of your child and buy the safety seat from online. You’ll be able to save some dollars too. If you want to learn more about buying safety seats why don’t you take a tour at our Car Seat Buying Guide section? Straps – Thigh and shoulder straps in a booster seat make it safer. They provide additional safety to the child. Comfort – It’s the most important thing. Check if the materials are comfortable for the kid. Looks – Looks can be an important factor in a booster seat. The looks of a booster seat should go with the kid and with your car as well. Take note of these things before you get a booster seat. Type – You’ll meet two types of car seats in the market. One comes with a high back and the other is a backless version. You should decide what to get. I’d say, go for the high back booster seat. They cost a bit more than the backless seats but really helps in positioning the child for the safety belts. Try It – Now you know your type why don’t you give some models a try. See if it fits on your car and elevates your kid properly. Remember, a slight unfitness can cause serious injury to your child. So, it’s always an intelligent option to test it before buying. 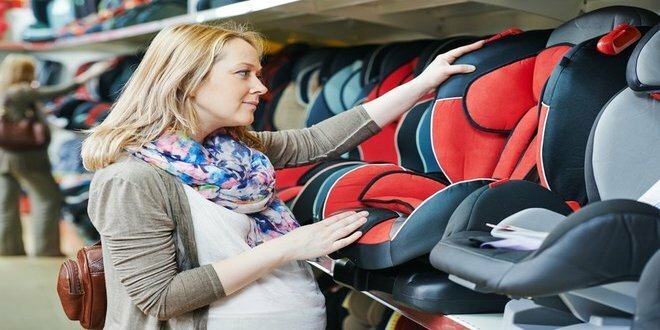 Now, if you are buying best car seat from online you will not be able to try it. Then you have to rely on reviews. Shorten up your choices according to your budget. Then do a little research on them. Also, you can ask around your family and friends for suggestions. Setting up a booster seat for the first time is the most crucial task. You must be very careful to set it up. Here’s the step by step solution for using a booster seat in your car to keep your kids safe. The first thing is to do is fill up the registration card and send it back to the manufacturer. Go through the manual that comes with the safety seat. Things about safety will be there too. The backseat should be the appropriate place for a booster to be installed. If your backseat has headrests you can go for the backless booster seats, or else prefer the high back seats. The boosters which are belt positioning should be used shoulder or lap belts. Remember, lap belts aren’t designed to protect the upper part of the body. Place the booster seat on your car and lock it. After your child sits on it, fasten the belts. Tighten them if you have to. The shoulder belt must cross the chest bone from center and then it should rest between the neck and shoulder. The lap belt should be resting on top of the thighs. Make sure that the child is able to bend his/her knees effortlessly. These simplest things can protect your precious child from any sort of injury. This cautiousness must be shown as the bones of a toddler are still in the process of growing. That’s why those sensitive bones need extra care. Some things are to be followed if you are using a booster seat. We have decorated shortly this list for you and suggest you to follow it thoroughly. With these points you’ll be able to keep your child more safe inside a booster seat. Always try to avoid shield booster seats. These seats are outdated and they were the reasons behind many injuries also. Now days with in coherence with the results of the researches everyone recommends not to use them. Make sure that the lap and shoulder belts fit appropriately. An unfit booster seat does more harm than any good. The shoulder belt is an important thing. It should never be abused. The shoulder belt is to be used over the shoulder and not under the arms or in the back. Always read the user manual that comes with your seat. In this part we sum up everything we’ve gathered. The simple logic to start with is that you will need a booster seat after your child outgrows a convertible seat and not providing your toddler with a booster seat will never be a wise idea. Then what you need to do is know what a booster seat is and know its types. Then you are ready to buy one. There are some features that you should take a look into. Then test the product practically if you can. If you have gone through this article you clearly know all the things that you need. Best of luck with your buying best booster seat for your child safety.